This may work as an option for some of you however the rates are do seem to be on the high side. Seeing that when you redeem for stays at actual La Quinta locations you’ll only need 6,000 to 24,000 points for a free night. then again getting a W for 36,000 points isn’t that bad but not great. You have to spend $3,600 on La Quinta stays to get that free night at the W. Then again lots of use have been getting some free points from La Quinta via their sign up bonuses and watching their travel advisor videos. Not enough for a free night but perhaps to be used as a discount for the Points+Cash option. 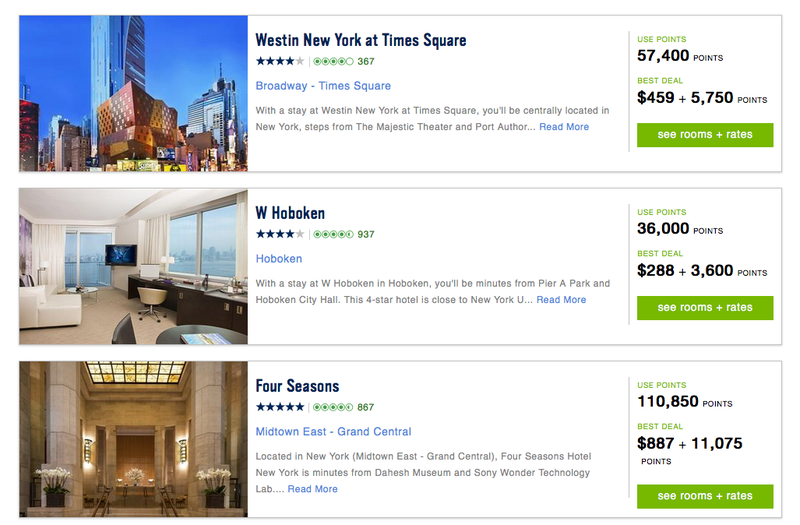 Looking at spg.com, the W Hoboken on the same night goes for $323 so the 3,600 points are worth roughly $35. 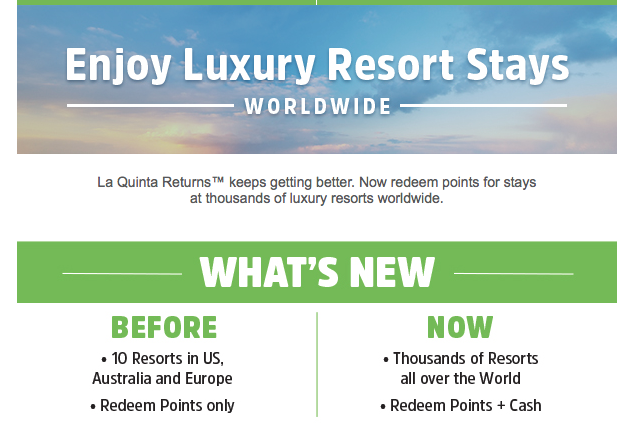 Find out more about this new La Quinta Returns redemption option here.